To the majority of people buying an apartment is the biggest investment in their life, and many of them will be paying it off for the rest of their lives. A bad and hasty decision on buying can have disastrous consequences on your wallet as well as on the quality of your life. How much money to provide for buying an apartment? At the very beginning of your search for an apartment find out how much money you have on your disposal and what monthly amount of money can you cope with. Look up a few banks and check the amount of loan you could get. The price of the apartment should not be over 90% of your budget because there will be additional costs you are not counting on, and you will probably have to fix and change some things once you enter your new apartment. In the future you might have less income or lose your job, so do not spend all your money on buying the apartment. How to look for an ideal apartment? You can look for a house via adverts, acquaintances or you can hire an agency. At first sight the best way to start your search seems to be on your own so as to avoid paying the agency commission. A serious agency will, apart from showing around houses, point to the advantages and disadvantages of the apartments on offer, advise the client, lead negotiations, organize the sales procedure, engage a lawyer and a notary and eventually deal with the ownership registration and transfer of overheads. Agencies are often evaded because of commissions. However, it is wrong, because they know about his job more than the majority of citizens and as professionals they can save the client time and money. It is true that not all agencies are equally professional and equipped for the job, as well as that not all of them offer the same services. Inquire about how long they have been doing business, visit them personally. Sometimes you will get a picture of the seriousness of the agency by looking at their web page. The agents who are not in the register of agents and work from cafes, you’d better skip – because they will only take your money, and the service will be done poorly or not at all. You can renovate the apartment or furnish it differently, but the location cannot be changed afterwards. Therefore, take into consideration only the locations which meet your needs and possibilities – our sales adviser knows the town very well so he can suggest you locations according to your criteria. It is necessary to verify whether the apartment is recorded into the cadastral maps and registered in the land register. Compare the ground-plan in the land-registry to the actual state of the building. With newly-built apartments it is often the case that the land-register matter is completely unsettled. Do not hesitate to ask for the opinion of an expert if you wish to make sure what the status of the real estate is before the actual deal. Land title should be verified in the land-register excerpt and type of building, whether the ground-plan and the description of the house match, whether the parking place and the storeroom have been mentioned and if there is strain on the real estate – the land-register excerpt and the type of building can be obtained from the agency employee – we have those for all the apartments advertised by us. If you are planning to rent or attend a business in the house you have just bought, it is advisable to check that possibility in the local economy office. This is extremely important if the buyer is a company - LLC. Find out what is being planned in the neighborhood. Check in the office for regional planning whether there are any plans near the building such as new buildings, widening roads, building of a stone-pit, power-transmission line or something of a kind which could lower its value. Ask for the bills and check how much the running costs are and whether there is any money due to the utility services – in case the apartment is uninhabited, we can count the approximate overheads for an apartment of that size. Visit the apartment several times at different times so as to get an idea of the traffic, number or free parking spaces, neighbor’s habits, insulation, smells of the surrounding and the noise at which one should pay attention to the direction of the wind. Check the proper operation of the devices and gadgets. Meet the neighbor's and find out as much as possible about the situation in the building – do not hesitate to ask our agent for a repeated round of the apartment – it is quite usual. Compare the apartments that suit you best and analyze their advantages and disadvantages. If you have found an apartment which suits you, compare its price with the other apartments you have seen and think about the amount of money you can offer (we will be glad to help you analyze the advantages and disadvantages as well as suggest some other criteria you may have left out). •	Rooming, area and room arrangement. The number of rooms is the most basic parameter in the size of the apartment and shows the functional value of the apartment better than its area. 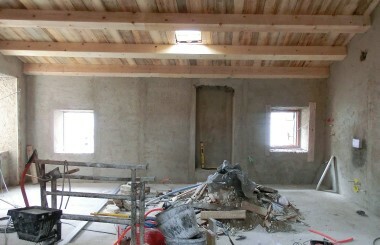 In some apartments it is possible to enlarge the number of rooms by remodeling, but that requires additional expenses. Bedrooms can be smaller, but it is always good to have large living room, especially if you have small children who need space to move and play. In difference to that contemporary concept in older buildings you might find an apartment with a long corridor and a small kitchen and dining room separated from the living room. Compare the ground-plans of the apartments seen and try to estimate which arrangement suits you better. •	Terrace and balcony. If you are buying an apartment at sea, it is understandable that you wish to have a terrace or balcony where you will have your coffee in the morning or laze around in the afternoon. In the old town of Rovinj it is almost impossible to find an apartment with a balcony, so you will have to content yourself with a window or a French balcony. If you are looking for an apartment outside the centre, you won’t have any problems – all newly-built apartments have at least a small balcony or a terrace. •	Yard or garden. Having an apartment in Rovinj with a garden or a yard sounds tempting – unfortunately the choice of apartments with a garden in Rovinj leads to bigger apartments outside the centre. Smaller apartments and those in the centre do not usually have a garden. •	Parking space, storeroom. People using apartments in the centre can leave their car on the public parking lots for a fee. Newly-built apartments outside the centre usually have marked parking places which belong to a specific apartment, but this has to be registered in the land-registry excerpt. In the other parts of the town the lodgers park along the road or in yards of the buildings. Around a third of apartments in Rovinj have a storeroom or a wood cellar. •	Kindergartens and schools nearby. If you are buying an apartment for yourself and you have small children, compare the distances between the apartments offered and kindergartens and schools. 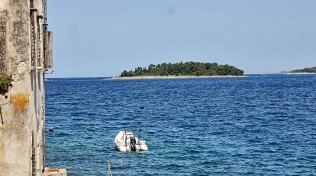 In Rovinj we have two Croatian and one Italian elementary school and five kindergartens. It surely handy to find an apartment near the school or kindergarten. 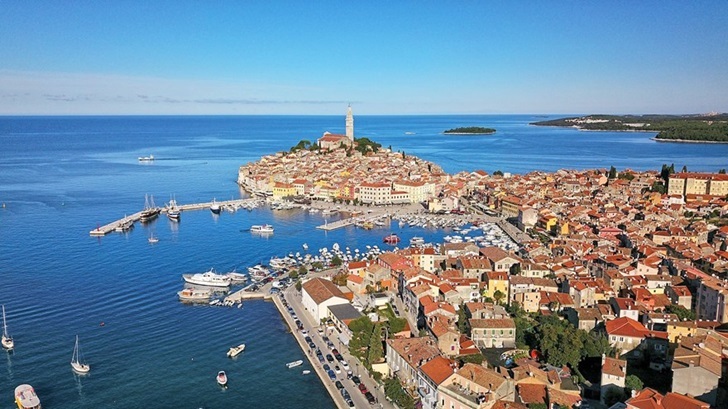 However, no worries if you haven’t succeeded in that because distances in Rovinj are short, it takes not more than 5 minutes by car from one part of the town to the other. •	The sea or the beach nearby. The best zones for renting apartments in Rovinj are the centre, Centener and Borik, due to the vicinity of the beaches and the distance from the centre even though other parts of the town are not far away either – maximum 5-minute ride by car. •	Supermarkets and shopping centres nearby. The main shopping centres with the biggest choice of food-stuff are outside the centre in the suburb Štanga. In all parts of the town there are smaller supermarkets and that is something you don’t need to worry when choosing your apartment. •	Orientation and view. It would be ideal to buy an apartment with double orientation in which the night part is turned to the east and the day part to the south or west. With smaller apartments with single orientation give advantage to those with the view to the south or west. If you are buying an apartment for rent, give advantage to those with a sea view, and the orientation can be north as well – you will save with cooling expenses during summer months. •	Building year and the condition of the building. When buying apartments for living, give advantage to the newly-built ones because of lower overheads and maintenance costs. One shouldn’t shrink from buildings from the 70s or 80s if they are well maintained. Renovated older apartments can be very charming and comfortable for living even though the maintenance costs are higher than with the newly-built ones. If you are buying for renting, the construction year does not play a special role. •	Condition and equipment of the apartment. It goes without saying that buying a modern equipped and furnished apartment saves your time, but the question is whether it saves your money. When looking around apartments try to visualize the room without furniture because unattractive furniture can leave a bad impression on your whole conception of the apartment. If you don’t like the furniture, offer the owner to take it and lower the price of the apartment. Equipment and furniture shouldn’t be decisive when buying an apartment. •	Floors. The most looked for apartments are those on the first or second floor. If you are buying a newly-built apartment, you will easily find one on the first or second floor, while in the old town as well as buildings from the second half of the 20th century the apartments are on higher floors. Higher floor usually means a good sea view and more sun, so judge by yourselves whether you prefer the comfort of the lower floor or a good view from the top of the building. Only a few buildings in Rovinj have an elevator. •	Price. Apartments by the sea as well as those with the sea view are the most expensive, but they can be rented longer and at a better price. The prices of apartments in Rovinj are stable, but it is usually possible to get a 5%-10% price lowering with the option of quick payment. Usually after buying apartments at a more acceptable price in the centre of the town they should be renovated or brushed up. Construction work in the centre of Rovinj is demanding so it is best to leave it to a firm with experience in that field. An experienced contractor can make an approximate estimate of works, whereas an exact one can be given on the basis of the project and bill of quantities. Adaptation costs are from 300 to 1200EUR/m2 depending on the amount of work. Before doing construction work where construction parts are changed or facade work is done one needs to get permit of the art-conservation department. 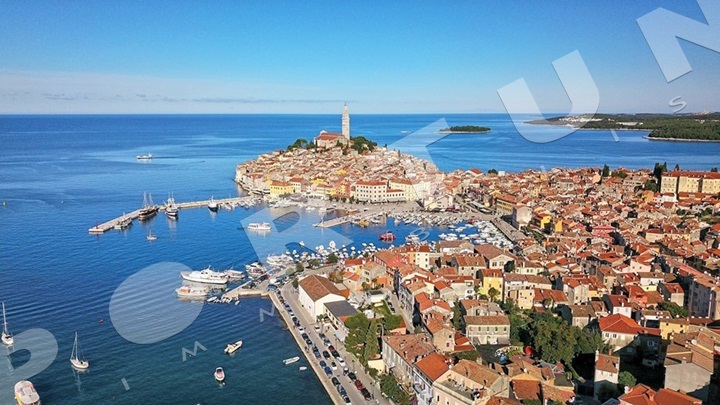 In the period from June 15 till August 31 no construction work is allowed in Rovinj. Contact us if you need an offer for construction work in the centre of Rovinj – we will gladly link you to the contractors with long experience.